My mom was at Arbor Terrace Shrewsbury. When we first went there, cosmetically, we were impressed. It looked like a very nice place. It seemed very clean. In the first couple of weeks, she was fine, and she liked it because there were activities that she could participate in. However, as her health declined, sometimes she would call for help or for someone to come, but they didn't really respond as quickly as we thought they should have. Then, toward the end, when she was very sick, they weren't very good. Like before my mom passed away, my sister went downstairs and asked them to call an ambulance, but half an hour later they still hadn't gotten her an ambulance, and my sister had to get an ambulance on her own. My mom passed away in a couple of hours after finally arriving at the hospital. After my mom passed away, my sister went back to clean out the stuff that belonged to my mom, and they had not even come in to clean out her dirty dinner dishes from the day that she died. They were still in her room. The staff's efficiency was not very good. I'm in Long Island, and every time there's a problem, they would call me. I tried to explain to them that I couldn't really respond to their questions and that they had to contact my sister or my brother, who were only 10 to 15 minutes away. Every time they called, I told them they were not supposed to call me and to call my sister instead, but it happened again and again. We're very pleased with Arbor Terrace Shrewsbury and we’re very happy that my mother is happy. My mom has a newly renovated 1-bedroom apartment. It was all new and a nice size. The people are very caring and the people who live there are happy as well. The activities seemed good and they take the residents out. She's allowed to have her dogs. She has a pendant that goes to them if they have any questions and the food is very good. They're renovating the whole place. The facility itself is not bad, however even though they say they have the required number of aides it is not enough to properly care for the residents that need assistance. Wait times for assistance are often too long and when help arrives some of the aides rush the resident and don't really display a caring attitude. Arbor Terrace Shrewsbury was very nice and undergoing renovation. We saw a sample room that was decorated with the new decorating scheme, and it was quite nice. We saw people at lunch, and it looked very nice. We liked that the common areas are going to be renovated, and it looks like it's going to be lovely and a cozier and friendlier environment. It's well-maintained, but it's just a little old. I thought Arbor Terrace Shrewsbury would be a better match for my mom. It looked very nice, and it was a little bit newer. The people who provided care seemed very good. I liked the fact that they had physical therapy there. I know some of the doctors that are there that go around the area. Parking was not a problem at all, and it was more affordable. One of the things that I really enjoy about the Kensington Court is that besides being an assisted living, they also have an adult day-care as well. Because of that, those residents who are brought in just for the day, have continued activities, and things that only enhance the variety of things for the assisted living people to live there full time. What’s also interesting is that for those residents who like to play Bingo, but could not afford $0.25 a game, they also have Bingo in another part of the building without the need of any coinage. You could get your own apartment with a separate bedroom, and living-room or a combination kitchen, and living room if you want. In my mom’s case, she got a studio apartment in which you could either use your furniture or their furniture. It has a bed, a closet, a huge window, and a large bathroom. There’s laundry on the premises where you can do your own laundry or have it done. The other thing is the great room, which is a two-storey-high huge area, and has a sense of not closed in. They have some skylight, and you can see the stars. The dining room is large, and in an open area, so the residents who are having lunch can see everything that’s going on around. They’re not isolated in a single room. My mom is 95, and one of the reasons I chose this place was they had rooms available on the first floor. So, if there was any confusion on what floor to get off by the use of an elevator, that confusion was now not even a consideration. She was able to get a room on the first floor, and once she came out of her door, she had a straight visual run to the great room, the dining room, the nurses’ office, and the post office. The biggest thing, I think, was the administrator, Andrea. Her office was immediately to the left as you came in, and if you had even the smallest concern, she had the most open door, compassionate policy that I’ve seen in any facility. It wasn’t just a job for her. She really has a passion for this place, and its residents. The Kensington Court staff was always helpful and accommodating as we prepared to move my mother into their assisted living facility. We were pleased with the room and furnishings provided and the staff made sure that all amenities (phone, TV, and kitchenette appliances) were working well when she arrived. We were asked for feedback during the first two weeks after my mother moved in and any concerns or questions were promptly addressed. Although this is an adjustment for my mother, she was having a harder and harder time managing on her own at home and is happy to have someone else help with some of her activities of daily living and prepare her meals--she likes the food. We continue to communicate with the staff and overall have been very pleased with their cooperation and cheerful attitude in helping us through a rather challenging time. My relative has been a resident at Kensington Court Asst. Living for 7 yrs. The staff there have been so very supportive to her, and to me. My relative has always been dependent due to visual, hearing, & cognitive impairments, At Kensington Court she participates in multiple activities with a sense of independence she never had before. Her limitations at times are a cause for her to have misunderstandings with staff or other residents, but all the staff, administrator, nurses, & aides, have always been available to clarify & resolve whatever was in question. My relative is very happy with their menu which offers choices at each meal. The facility is comfortable, & welcoming. It is a Blessing to both of us for her to be in such a safe & caring environment! My 92 year old Aunt has been living at Kensington Court for almost two years now. Prior to moving into Kensington Court she lived independently. As her Dementia began to progress she was not taking care of her Diabetes and becoming socially isolated. Now, two years later, approaching 93, she is healthier than she was then. She participates in many activities and social events and enjoys going on all of the trips. Our family truly believes that if she did not come to Kensington Court and receive the wonderful care that she does she would not still be with us, never mind enjoying herself the way that she does. She is so happy that she sings to me every time I see her! The staff, from the Administrator to the dietary staff have a true passion for caring for seniors and it shows in the quality of life that the residents have. 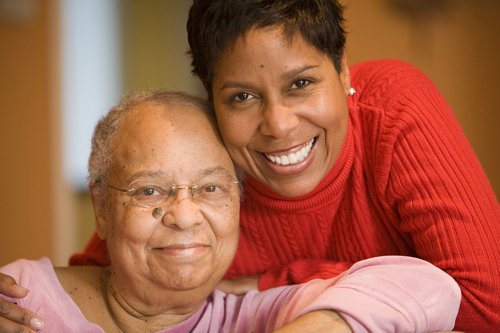 It was a very difficult decision to place my Mom from her home to an assisted living facility. Finding a place she can be safe, happy and well taken care of was an emotional experience. Not only were we successful at finding a place where she is cared for, but she is also very much loved and treated like family by the staff. The director is always available, supportive and shows personal care to my Mom's needs. I visit my mother every day and always find her happy and well cared for and I am treated as one of the Kensington family. Activities are stimulating for all the residents and meals are always cooked fresh and delicious with choices that please everybody. The facility is always maintained professionally. There are themed events twice a year that engage all families with great food and entertainment. I highly recommend Kensington Court! Kensington Court was an answer to a prayer. My family member was definitely no longer able to live alone nor able to take medications as required. Kensington received my family member with kindness and concern. After almost two years, I still find that Kensington continues to provide the same great care. My relative loves the meals, his apartment is spotlessly maintained and the nursing staff is wonderful to him. His health and medications are well monitored. The kitchen/dining staff and cleaning staff always greet him by name and with a smile. Since his arrival at Kensington, my personal stress level was significantly reduced by the knowledge that he is well cared for and monitored. I stop by oftren and the nursing staff always takes time to talk with me and provide me with an update. I visited many facilities and Kensington is tops. It was recommended to me by a well respected member of the NJ political community. I have also recommended it to others as well. Kensington lives up to my expectations, provides great care and deserves to be recognized as an excellent assisted living facility. My father, age 92, has been a resident of Kensington Court for the past 2-1/2 years. He is very happy living there and often remarks that he "can't believe there are places like this." I believe it might be the only one. I am constantly impressed by the physical facility, services provided, and most importantly, the competent and caring staff. I selected Kensington during my initial visit with the marketing director after investigating several facilities. The building is clean, warm and inviting. The menu is offers a variety of choices and changes often. The nursing office is staffed 24/7 by RNs. There are a variety of activities and special events daily. While all of the above were key considerations, I was and am impressed by the full time and hourly staff. They all seemed more competent, caring and compassionate than other facilities. I still feel that way today. All staff members seem to know every resident and interact with them regularly, doing more than required by job description. My father had surgery last December that required hospital stay and additional care for a month after returning to Kensington. We were met at the door by several staff members who welcomed him "home" and assured me that any special needs would be addressed. They loaned us a wheelchair and no extra cost was ever charged for additional temporary care. He receives assistance when showering and his aides often tell me that they would like to help him more, but he insists on doing things himself. Again, caring and compassion are readily evident and much appreciated. My initial instincts were correct. Kensington Court is a beautiful facility with a special staff. I highly recommend Kensington to anyone seeking a senior living facility for themselves or loved ones. If you wondering where to place your loved one, your search is over! My beloved mother was at this facility for 5 yrs. The facility is run by an accomplished warm hearted, compassionate, loving person who also happens to be an RN. You don't find that in other places. KC is not your average AL. They don't nickel and dime you to death. They work with you on pricing and are very sensitive to your needs for your loved one. I honestly don't know what I would have done with my mom if I hadn't placed her here. The facility is bright, airy, and has the hum of something always going on. The nurses are highly trained, the aides are loving and caring. Yes as in all places you find one or two workers that maybe don't conform to the rules, however they are dismissed as soon as people complain. My mom was there till her passing this past March. The support, and caring that was afforded not only to her but to my entire family is beyond imagining!! I owe them everything! Just go check them out and you will see for yourself, the residents are HAPPY there! The food is great, the activities are none stop. This is an A one facility. I've brought 5 other people to live here, it's the only place to be!!!! Thanks to all the employees of KC for making my moms last 5 yrs of her life a blessing! Kensington Court is an excellent assisted care facility. The grounds are beautiful; my mother and I would walk around the facility and admire the plentiful flowers. The inside is equally as lovely, the great room is where everyone gets together for activities or conversation. The beautiful grand piano is welcome sight. Then there is the country kitchen where bingo and movies take place. The food is good and always available. The most important attribute, the staff. The aides are loving and caring. The nursing staff is on top of any issue that arises, immediately contacting me, keeping me informed. I entrusted Kensington Court with the care of both my mother and mother in law, they have never disappointed me. I live at Kensingtion,its very good in all departsments. After 5years of living there,if I did not like it I would move out.No one put me there,I stay for many reasons, all good. The facility itself is well maintained and clean. The apartments are adequate, small bedroom, sitting room and kitchenette. The nursing staff is really nice and are diligent about keeping tabs on the residents. The food is really good, have eaten there with the family a few times. My biggest complaint is regarding the staff aides. Although many are really good, there are a few who barely speak English and they talk to each other in their native language, which I find to be extremely rude. They are also "fresh", disrespectful, and talk down to the residents. The turn over rate is really high (because they don't pay well) and there are DEFINITELY not enough aides. The response time is supposed to be within 10 minutes. My mother waited for 45 minutes numerous times Usually they don't get there for at least 15 minutes. I have brought this issue for the need for more aides to the director who told me they have the number required by the state. They need to step up their game and hire more aides. Both my parents were at Kensington Court and it was very clean. It had a very nice atmosphere and seemed like a friendly place. The staff were accommodating, calm, helpful, nice and they did a lot for the residents. Their room was adequate, it was a small bedroom with a combined living room and kitchen. I have not tried their food but I heard it was okay. For those in search of senior housing in New Jersey, there's Arbor Terrace Shrewsbury, which offers respite care, hospice services, and much more. At Arbor Terrace Shrewsbury you'll find your assisted living and short-term care needs met. From the exquisitely landscaped grounds to the elegant furnishings throughout your new senior living residence, no detail has been overlooked in creating the gracious lifestyle that awaits you. Best of all, living at Arbor Terrace Shrewsbury in Tinton Falls, New Jersey, gives you access to a marvelous village that's just footsteps away from your own private apartment. At the Arbor Terrace Shrewsburyt senior living community, you'll maintain your independence through choices that you make every day with respect to the way you live your own life. But remember, at Arbor Terrace Shrewsbury, our staff is always here to assist you when needed. 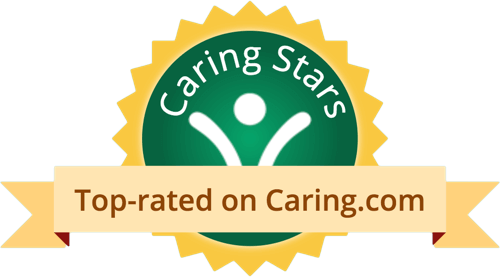 You and your family will enjoy great peace of mind knowing that our personal assisted living services and Alzheimer's care more than meet your expectations. What should caregivers and potential residents know about Arbor Terrace Shrewsbury?